Welcome to Anything Printing, your one stop print shop! Print your logo and branding on any of our 500,000+ top quality products including custom apparel, headwear, promotional and trade show products, business printing, business cheques and we sell toner too! We represent the biggest brands in the marketplace, we offer industry leading decoration options, we provide fast shipping in Canada and we have excellent prices everyday! 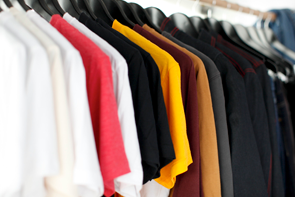 Choose from our huge selection of quality Tshirts, Polo's, Hoodies, Sweaters, Jackets, Work Wear and more! We offer unmatched in house decoration methods including Transfers, Embroidery, Laser, HXD, inFusion, Screen Print, PVC Emblems, Patches and Deboss. Now offering Direct to Garment printing! Whether you need shirts tomorrow or by the end of the week our dedicated team will ensure you have your shirts when you need them! DTG printing provides detailed high quality, long lasting prints and FAST delivery! Whether you're starting a new business, rebranding or just need a few touch ups to your current designs our design team can you produce vibrant images that will be proud of. We design logos, business cards, flyers, post cards, apparel and more! Do you have an event coming up and you need some last minute swag for giveaways? We offer 200+ products that can be shipped with-in 24 hours with no fee! Rush service is also available on thousands of other products, a rush order fee may apply. STAND OUT IN THE CROWD WITH THESE HOT PRODUCTS!